Ron Rubin and Stuart Avery Gold, authors of Dragon Spirit and Success at Life, have selected 160 of their most inspiring passages and sayings for their book Wowisms: Words of Wisdom for Dreamers and Doers (Zentrepreneur Guides) (Newmarket Press, 192 pp., 34 ink drawings), a treasury of enlightenment that will open the heart and mind of readers to help them discover more about themselves, their potential, and their destiny. At first there is no road. It’s only when a person begins it that it exists for others. Change, like the beauty of a flower, is ordinary activity. 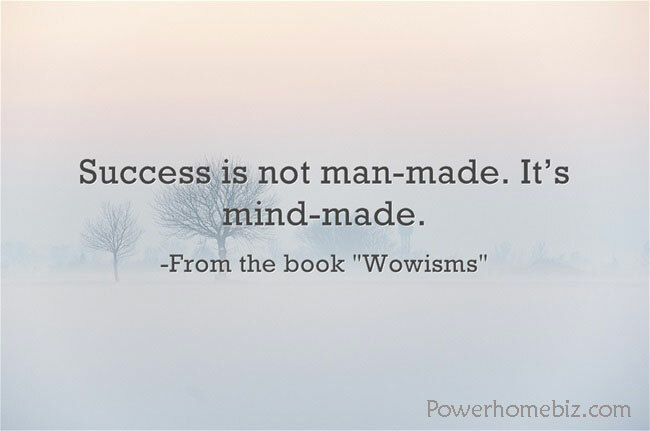 Success is not man-made. It’s mind-made. Wisdom is a weight that is carried easily. When you seek your dream, you seek yourself. Your mind, like the future, is only what you make of it.